9:26 a.m. — A caller near the corner of South Auburn Street and Bank Street reported transients using drugs at the old post office. 10:41 a.m. — A caller from the 700 block of Doris Drive reported a burglary to the residence sometime over the last three weeks. Access was made through a storage area and broken through the wall where the fridge used to be. 12:18 p.m. — A caller from the 800 block of Sutton Way reported a man just stole several items. A person was arrested on charges of shoplifting, trespassing and receiving known stolen property. 3:37 p.m. — A caller from the 100 block of West McKnight Way reported someone singing and yelling and walking in front of cars. The caller said customers were then avoiding the store. 6:07 p.m. — A caller from the 800 block of Sutton Way reported a woman left the store with a full basket of groceries. 9:56 p.m. — A caller from the 200 block of Hill Street reported a roommate threatening to take all of the caller’s items and throw them outside. The roommate locked himself in the caller’s room, then came out and started recording the caller. 11:54 p.m. — A person was stopped on the 100 block of West McKnight Way. 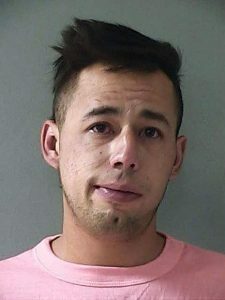 A person was arrested on charges of camping in city limits. 1:53 a.m. — A caller near the corner of Penn Valley Drive and Indian Springs Road reported a loud party going on. The caller requested they be told to keep it down. 1:58 a.m. — A caller from Pine Hill Drive reported a bunch of stolen items and drug paraphernalia in her brother’s room. 10:32 a.m. — A caller from Woodland Loop reported an ill deer with throat cancer that probably needed to be put down. The caller called back saying the deer was gone. 2:22 p.m. — A caller from Pleasant Valley Road reported theft of an iced tea and another item. The caller said the subject had come back into the store. The caller called back saying it was a misunderstanding and the subject actually did pay for the iced tea. 3:49 p.m. — A caller from Florida said someone was selling surgical tools on eBay. 3:53 p.m. — A caller near the corner of Rough and Ready Highway and Bonanza Way reported a large rock the size of a human head on the road. 6:52 p.m. — A caller from Quaker Hill Cross Road hung up. On call back things were fine, the caller had a friend who sat up too fast and passed out, but the caller said his friend woke up and said he was fine. 3:04 p.m. — A caller near the intersection of the Golden Center Freeway and Broad Street reported someone parked in front of a business and a rock was thrown from an overpass that cracked a window. Officers were unable to tell where the rock came from. 10:58 a.m. — A caller near the intersection of the Golden Center Freeway and Broad Street said she was in a vehicle being followed by someone yelling at her for not having a red flag on branches in the back of her car. 12:36 p.m. — A caller from the 300 block of Broad Street reported an elderly drunk man passed out in front of a store. An arrest was made on charges of a probation violation. 8:10 p.m. — A caller near the corner of New Mohawk Road and Gold Flat Road reported two weedeaters stashed in blackberry bushes. 8:58 p.m. — A person was stopped on the 300 block of Broad Street was arrested on charges of public intoxication and trespassing. 1:51 a.m. — A caller from the 200 block of Commercial Street reported a disturbance. 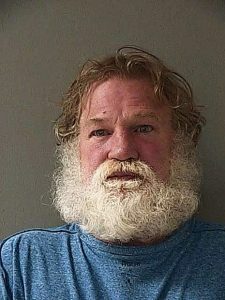 An arrest was made on charges of public intoxication. 8:53 a.m. — A caller from Robinson Plaza reported several people smoking marijuana. 8:54 a.m. — A caller from Callanan Park reported someone drinking fortified beer.